We opened just about a month ago, and I wish I could say things are going wonderfully. The sad thing is, we’ll be closing early – today, in fact. In Masks Outrageous and Austere will take its final bow this afternoon. It’s a shame as we’ve finally found this play; receiving standing ovations from packed houses. No way around this one – we may not have been as prepared as we should have for our opening. Plain and simple. Not throwing blame, but for a piece such as this (not finished, an amalgam of about 7 different manuscripts, and let’s face it – during the writing of these drafts, the playwright [Mr. Tennessee Williams] was very likely under the influence of more than one substance), we needed more time to investigate and rehearse. Then again, with a play such as this – is it every ready? Perhaps it is intended to be a constant exploration? Bear in mind, this goes beyond the usual course of discovery one experiences during the rehearsal process and therefore the run of a play. Early in the run, there were parts that remained a mystery to me, I strung together actions and objectives the best I could; but the harsh truth is I was still learning about the world I was inhabiting within the play. True, we should never stop availing ourselves to discoveries throughout the process; however, I just wish I knew more, earlier on. This piece (actually I call it a “theatrical event“) received mixed responses at best. As stated before, over the past couple of weeks, we found something quite special. The set and world created by David Schweizer and James Noone was downright breathtaking. The cast (for the most part) was tremendous, the crew (Scott, Chris, Patrick, Andrea, Matt, Kj and Megan) – THANK YOU FOR EVERYTHING!!. To work with the likes of Shirley Knight and Alison Fraser has been a privilege, an education, and an honor. I feel I have acquired a 2nd MFA working with those two Madams of the stage. 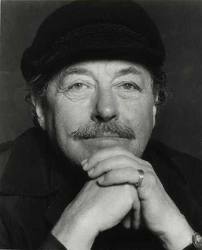 It is still challenging to wrap my head around the fact that I am now a part of Tennessee Williams’ anthology. It is a gift I will always cherish. Thank you for that, David. Thank you all for the journey. Thank you to the new friends I made at Gideon’s Point. And most of all…thank you, Mr. Williams.